Packages are shipped in 1-2 working days. 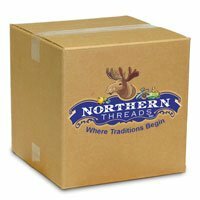 During our peak seasons, such as Christmas, packages may take 3-4 business days to ship. Once shipped, please allow up to 14 business days for Standard Delivery. For faster service, select our Priority Delivery (3-7 business days). USPS orders are shipped First Class or Priority Mail and should be delivered in 3-7 days. However, USPS Mail delivery times are not guaranteed. Orders with APO/FPO addresses and in Hawaii and Puerto Rico may take longer to be delivered. If your order includes large, oversized, or awkward items, we will contact you regarding the shipping costs.We use delivery confirmation for all orders. You are responsible for applicable duty and tax charged by Canadian Customs. All prices in US funds. Packages will be sent First Class Mail unless size prohibits it. Customer is responsible for all applicable government taxes, duties, custom fees and/or broker fees.